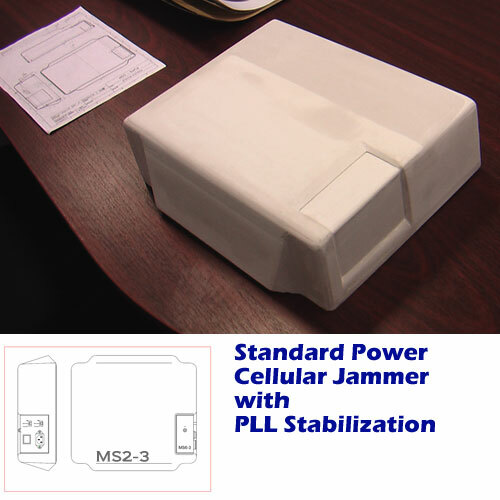 Cellular Jammer model MS2-3 is a directional digital cellular jammer. It is designed to jam 3 cellular bands, giving off approximately 2 watts per band, totaling 6 Watts of output power. There are several models in the MS2 series, all with similar characteristics, some that are tuned and configured to accomplish different jamming mission types. How does one determine how much power should be used to jam cellular phones? Which Cellular Jammers are appropriate for to use? A) You may Contact Us for our expert advice. B) You may also measure several radio frequency attributes and forward your readings to our technical support division in order to determine which cellular jammers will suit your requirements. There are many variables to consider when choosing this 6 Watt Cellular Jammer, such as the proximity to the local cellular mast, the distance to the cellular phones being jammed, and other details. What makes our Cellular Jammer any different from other systems available? Our RF technologies employ a digital stabilized platform, and our proprietary design compensates for overheating, shift of frequency targeting due to thermal component elements, and other aspects that we have perfected. This method is used to double the efficiency of the jamming signal given off. 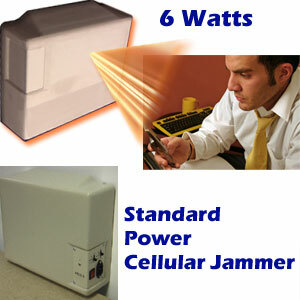 For more information on our Cellular Jammer, Contact Us.